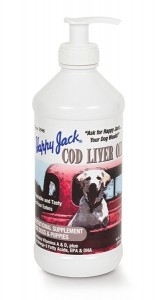 Happy Jack Cod Liver Oil is a nutritional supplement that provides a good source of Vitamin A and D. Splendid for growing pups and brood females. This is a U.S.P. human type oil with an A and D potency twice that of many U.S.P. oils selling for more.